False.Weight gain occurs if we eat MORE CALORIES than we need over the whole course of the day. 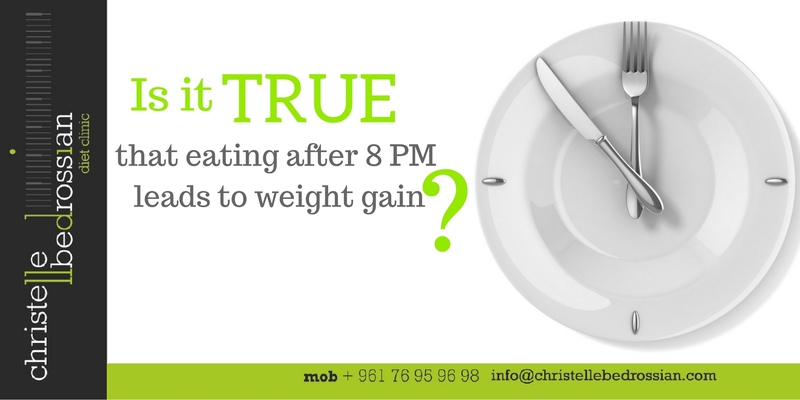 You may want to avoid eating too close to bedtime to prevent feeling uncomfortable due to a full stomach, but otherwise eating later in the day isn’t a problem if it fits your ENERGY REQUIREMENT. (Next Entry) Is it true that one diet can fit to everyone?